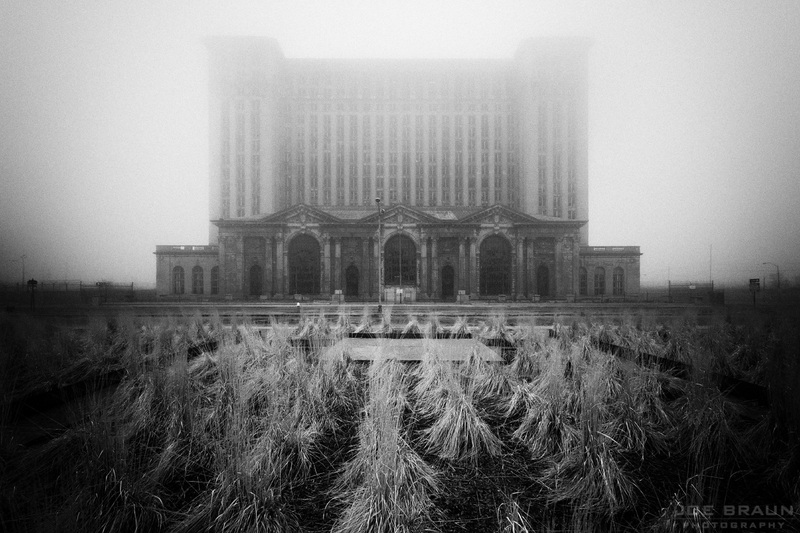 I wrote an essay several years ago about the decline of Michigan Central Station (aka "Michigan Central Depot") and how several factors led to its state of demise and decay long before it was closed in 1988. With the news of Ford buying and planning on restoring the building, my essay now seems outdated and useless, but some of the dates and events below may still be of some interest. 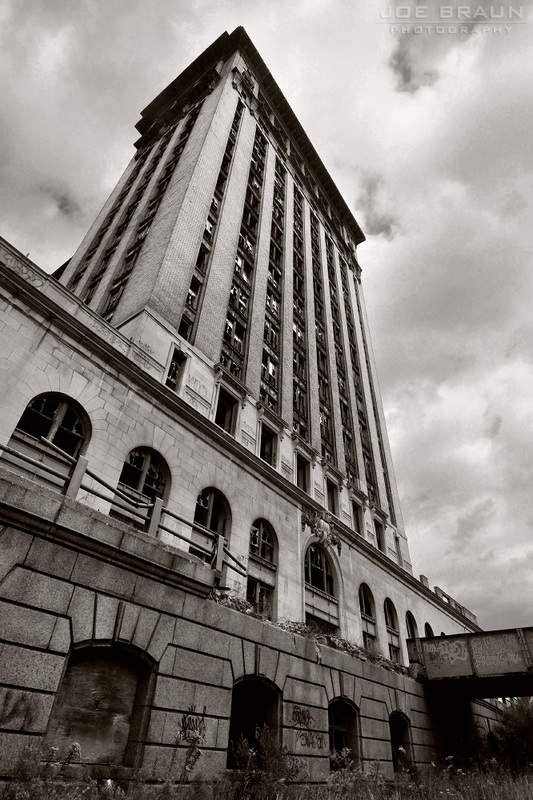 In the 1910s, the station's creators consciously decided to build the station beyond the limits of downtown Detroit in a gamble to create a new area of economic growth. This gamble did not succeed. The building was very much separated from the people who would have used it. No large automobile parking facilities were ever worked into the plans. When you're in the automobile capital of the United States, this is a fatal flaw. By the 1950s and 1960s, various owners were already trying to play "pass the hot potato" because the station simply was not profitable. While we like to imagine that all of the building's services remained as glorious and fully-functional as in their heyday, in reality most were shut down well before the station's final closure. Back in 1967, the restaurant, the arcade shops, and the waiting room were all closed to the public. The waiting room was even used for makeshift storage. During the 1970s, during Amtrak's renovation and attempted revival of the station, many of the station's original elements and accents were removed and replaced by cheaper, more modern materials. Many rooms (like the employee restaurant) were "renovated" and repurposed for storage. And covering the office walls of the lower tower floors with cheap low-grade wood paneling is a crime unto itself! By 1988, the various attempts to revitalize MCS had failed and the last train left the station on January 6, 1988. Since then, the property has switched hands many times, but was most famously owned and neglected by the Moroun family since 1996. In 2000, the train sheds were demolished by the owners, officially destroying one of the most beautiful parts of the building complex. In the following years, scavengers completed the job by removing just about every single fixture or loose piece of metal left in the building, including entire staircases and pieces of roof over the great rooms. While the backbone of the building is of very strong construction, many of the accents in the building were made with cheaper materials. Pillars made of terra cotta and plaster cannot withstand the elements the way that stone pillars can. Window frames made of wood will not last for 100 years the way that metal frames would have. Couple that with unrepaired holes in all of the roofs and every single rain storm knocks off a few more pieces of the building. In 2009, the Detroit City Council put demolishing MCS on their agenda, thinking that spending $3.6 million to knock down one of Detroit's most beautiful and historically significant buildings will magically help the local ecomony and make the area safer. In response, in 2011, the Morouns started a slow and perplexing restoration project on MCS, including replacing all of the broken windows. By May 2018, much to everybody's surprise and joy, Ford Motor Company purchased the station along with the neighboring abandoned Roosevelt Warehouse with plans to turn it into a new hub for autonomous vehicle development. The hope is that by 2022 Michigan Central Station will be completely reborn with open public access to the main floor of MCS.